Part of getting ready for next year is making sure the dogs are managed. Paddy needs a place to sleep (that's not in the rig), and the solution was to sell the red truck and buy another one with a canopy. 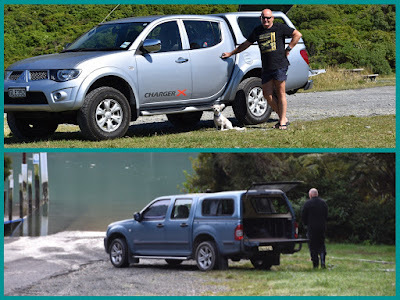 We searched for a later model vehicle, with low kms and Houston Motors in Nelson had a Mitsubishi Triton, 4 WD, with a canopy, in our price range. Being newer appealed to us because we wanted something reliable. 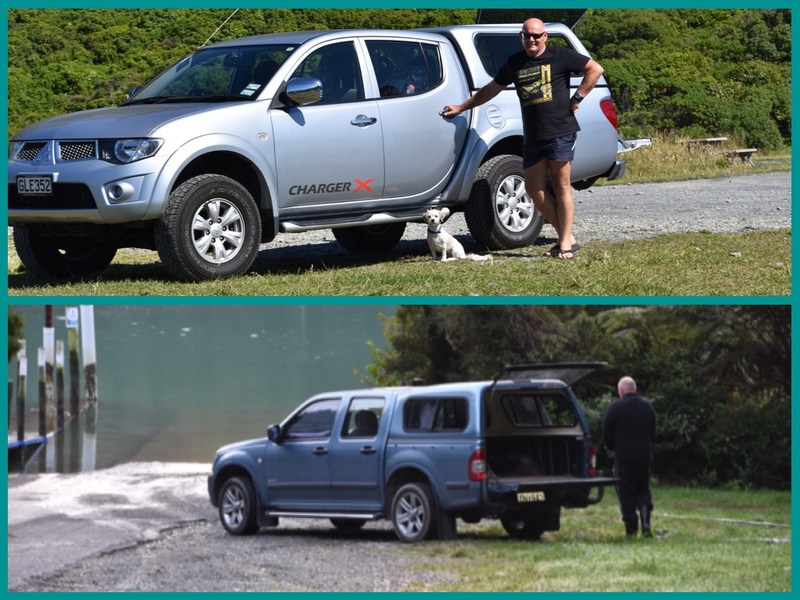 So we bought it and two weeks later the red Triton was sold (through Trade Me). The new truck was immaculate, but after a few weeks we discovered it wasn't economical to run. We thought owning a newer vehicle would be the way to go - but we hadn't factored in the two little dogs scratching the interior. Oakly and Boo treated the new truck the same way that they had the old truck. They knew if they stood on the button on the arm rest, the window would go down. Great in the old truck...but the potential of lots scratches in the new truck stressed Bernie. So, a few months later, we sold the new truck and bought a Holden Rodeo with a canopy. It was manual and 2WD. Much more economical and slightly smaller which makes reversing and parking easier.